In the movement of goods and services, the ability to efficiently connect two or more modes of transportation is crucial to the shipper’s success. 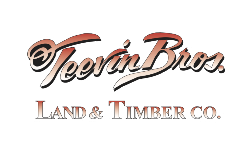 Bringing together the largest private marine terminal on the West Coast, two private rail spurs with nearly ½ mile of track, and a highway location close to the Interstate-5 corridor, Teevin Bros. is positioned to deliver true multi-modal service. The rail industry is in renaissance, being reformed and revitalized before our eyes. Industry sectors that had forgotten about rail have rediscovered the remarkable capacity and efficiencies of putting cargo on rail. With each rail car carrying the equivalent of three truck-loads of cargo, the cost of transportation-per-mile is significantly reduced. However, the savings are not just in transportation costs, but also in environmental costs. Rail moves one-ton of cargo 413 miles on one gallon of diesel fuel. To reach some markets, there is no choice other than moving goods by ship or barge. We are proud to work with Sause Bros. to provide barge service to the Hawaiian Islands and the far reaches of the Pacific Ocean. But our marine service also serves the coastwise trade. Often heard is the term ‘Short Seas Shipping,’ as a new model to move large quantities of goods into west coast ports without adding congestion to the highways or the rail lines. One barge with the capacity of 12,000 tons can move one-ton of cargo more than 576 miles on a single gallon of diesel fuel. When it comes to getting a particular cargo to a precise location in a certain time, one turns to trucking. We operate a modern, well-maintained fleet of trucks that can reach across Oregon and southwest Washington state to move nearly any cargo. We started with a trucking background and we remain true to our roots. Connecting the modes together requires meticulous material handling services. We provide cross-docking, storage, and inventory management services to connect your cargo between modes and provide just-in-time inventory control.